Holley fuel pressure regulators are designed to precisely control the fuel pressure from the fuel pump to the carburetor. Too much fuel pressure for a given needle and seat assembly can overload the needle and seat and may cause flooding or drivability problems. Each Holley fuel pressure regulator is fully adjustable so regulating the fuel pressure to your engines needs is a simple task. All Holley regulators are pre-set at the factory so there is no guesswork when first installing the regulator. 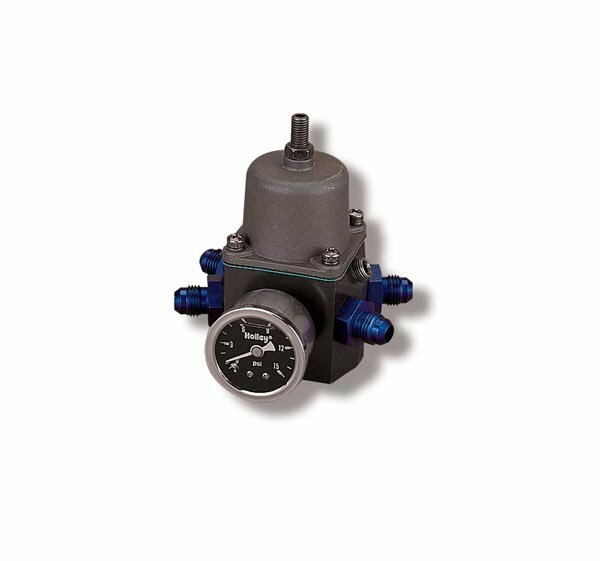 The Holley 12-707 fuel pressure regulator features 1 -8 inlet & 4 -6 outlet ports.